You may receive updates from Shalom Center – IMAC, the sponsor of this form. 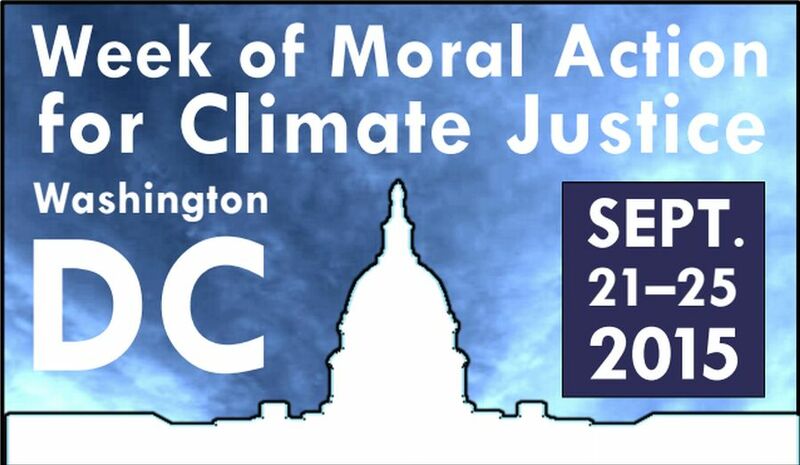 During the week of September 21-25, thousands of people will come together - in Washington DC and across the country - joining with Pope Francis to underscore the moral aspect of the climate crisis, and to call America to heed its moral duty to act for climate justice. There will be actions, vigils, teach-ins, entertainment and rallies, all calling for decisive and responsible action on this, the defining moral issue of our time. Please show your support by endorsing, using the form at right. Then, if you can, join us in Washington DC for any or all of the week - or plan events where you are, and post them here!